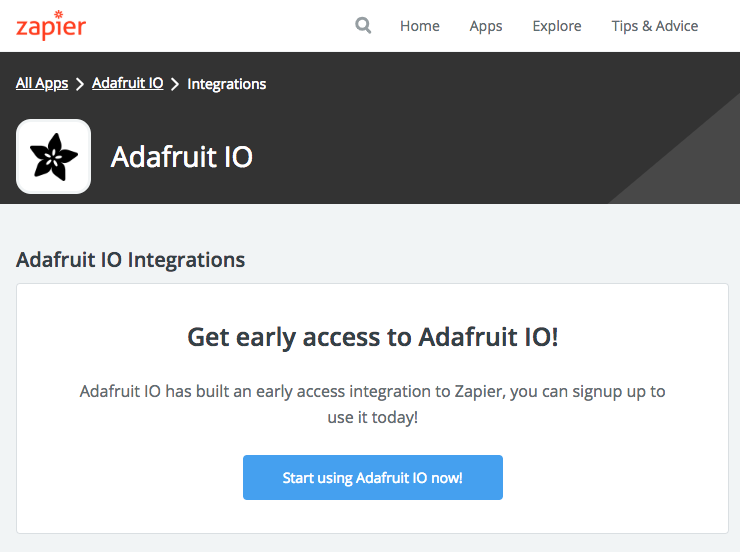 IO News: Adafruit IO’s Zapier Integration is now in Early Access! #adafruitio #IoT #zapier @adafruitio @zapier « Adafruit Industries – Makers, hackers, artists, designers and engineers! The Adafruit IO Zapier integration is now a https://zapier.com/apps/adafruit-io/integrations”>public Zapier integration (currently in early-access)! While we’ve made a lot of Adafruit IO projects which use Zapier, people would need to enter a special “invite” URL as we did not have enough people actively using the service and Adafruit IO together. As of today, the “invite” URL is replaced by an official Zapier integrations URL and landing page – https://zapier.com/apps/adafruit-io/integrations. Not using Adafruit IO and Zapier yet? Here’s two of our favorite guides which combine Zapier with the best data service in the world – Adafruit IO. Want to write a message to your PyPortal’s display? Perhaps you’d like to easily add and change text on your PyPortal’s display to use it as a smart sticky-note, or have people email it directly! sing Zapier, you will set up a Zap to receive email via a custom Zapier email address at zapiermail.com and forward it to an Adafruit IO Feed. With some CircuitPython Code, your PyPortal will be obtaining the current value of an Adafruit IO Feed and updating the display with the email sender address and the subject line. It’s difficult to remember exactly what time you started work on a project, and when you stopped. Tasks like taking out the dog and brewing a fresh pot of coffee to keep you focused do not count towards your project’s “total hours”. You can use Microsoft Excel to track your data using a time-sheet, but manually inputting times and tasks also becomes a task. 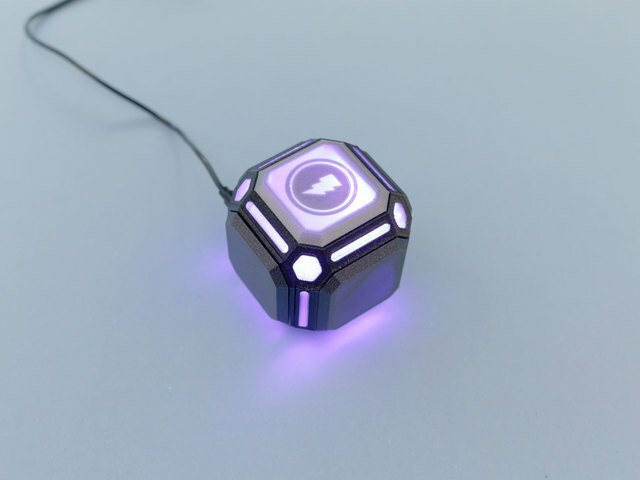 We’re going to build a different way to track your – using a flippable cube. New task? Flip it over.Taking a break? Flip it over. Finished with work for the day? Flip it it over! Are you using Adafruit IO with Zapier? Let us know in the comments what projects you’re making with these two services.